A self-study course with illustrastions & examples for you to write & check your answer. This book is a workbook. Contained herein are the essential "backbone" concepts for the working musician. These are the things you must know. It may take a year to work through and thoroughly understand and memorize all that is in this book - and a lifetime to perfect it. That's okay. You will own it and never forget it. 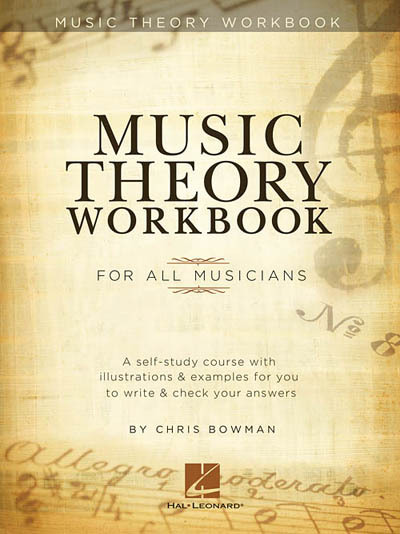 I am not a music person, I bought this book for my daughter who wants to learn more theory. I looked through this book, it is well organized, it has a wonderful way teaching the concepts, through reading, writing and listening, it also is repetitive. It builds on each concept! It can be a self- teaching book or used with an instructor. My daughter loves it, and she has learned so much using the book for only a few short weeks!